EMF may help counteract the ill effects of radiation from computers, cell phones, television sets, power lines, household appliances, etc. EMF may aid in detoxifying the body by stimulating the principal organs of elimination: the liver, kidneys, lymph and bladder. SKU: 363113263961. Category: Detox. 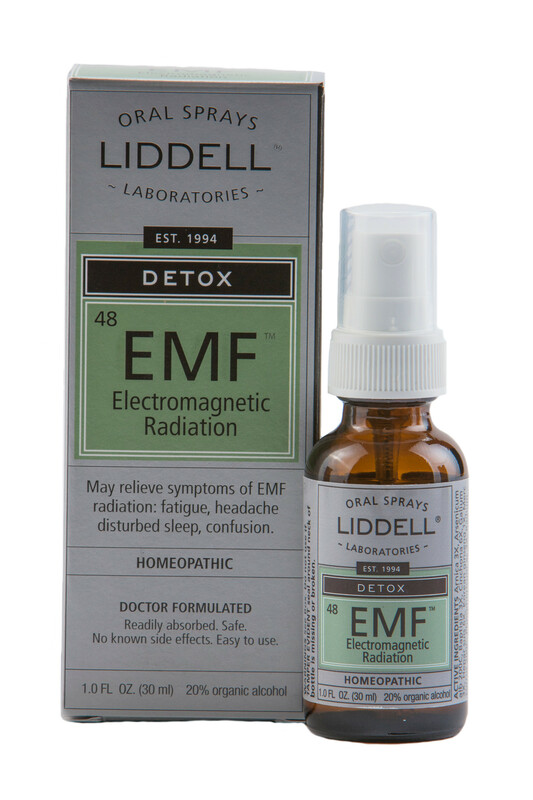 Tags: Detox EMF, homeopathic, Liddell. Detox EMF may relieve symptoms of EMF radiation such as fatigue, headache, disturbed sleep, confusion. Adults and children over 12: Spray twice under the tongue three times per day for one month. For the next three months use same dosage one week per month.